Healthy lifestyle and a small contribution towards pollution free environment can be possible with one gear which everyone can guess would be a gear bicycle. You can easily recall when the cycle was the main source of commute, Atlas and Hero used to be the best cycle manufacturing brands in India. Today, we have a long range of advance gear cycles that are more capable enough to serves different purposes for different groups like men, women, kids and adults. Simple and ranger cycles got replaced with “Gear Wali Cycle” that probably named by Indians. Today, we will share in-depth details about top 10 best gear cycles in India and two more best cycles in India without gear. We Highly recommend you to read the Gear Cycle Buying Guide after the below list, so you can select the right gear cycle for the right type of bicycle rider. Considering Cosmic Cycles as a very less known brand in India today ranking top in Amazon bestseller list and listing with broad variants of cycles for men, woman and kids. 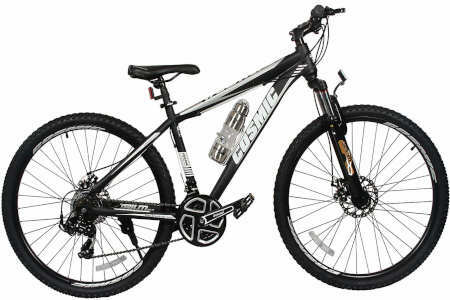 Cosmic Eldorado 1.0L is an MTB model (also called mountain bike or mountain bicycle) which is fully designed for off-road cycling and built with heavy-duty metal components to enhance the quality of gear bicycle for a smooth ride. Essentially disc brakes are acknowledged as the backbone of MTB bicycles. Dual disc brakes loaded in front and back wheel and alloy levers fitted with gears up front make it more elegant and safe. 26 inches wheel size comes with double walls alloy rims that ensure the pitfalls safety as they have the outer wall as well as one another extra wall inside the rims for extra support which you won’t find in single wall rims. Steel body with 60mm travel black crown (fork) which is more a front part of the cycle has stronger elements. Shimano grip shift front derailleur (shifter) also called changing gear plays a big role while climbing and descending or sailing along flat surface brings you to feel of riding multi-speed cycles like 10-15 or 21 speed. Cosmic Eldorado 1.0L 21 speed premium edition includes accessories like front LED light & rear danger light, water bottle and holder, cable lock, wheel reflectors, seat with pillar and pedal set. Everything you get with it needs to be installed as per given instructions, it’s better to get your gear cycle assembled from a mechanic or expert near your place. Opinion: Best for men height above 5’2” to 5’10” or an adult who loves off-rides. Still, you can collect information by Amazon for Adult Raod Bike Size Guide. 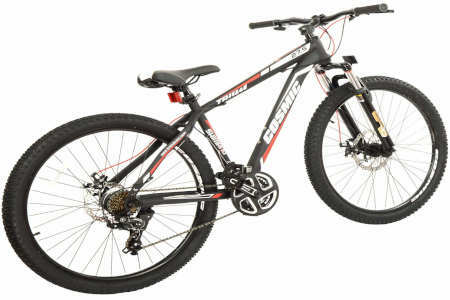 Another most recommended model by Trium is 27.5T similar to 27.5-inch MTB bicycle again 21 multi-speed riding experience. Rigid steel frame with a wheel size of 27.5 inches with 17 inches frame hight and an adjustable seat makes it an approx 20kg monster bicycle. Shifters by Shimano which gives more authentic shifting experience throughout your ride fixed with Shimano tourney which is usually called teeth (freewheel tz21 and shifters ef-51, tz-30 and tx55d). Disc brakes are included in both front and rear wheels to give you decent look and for better safety. 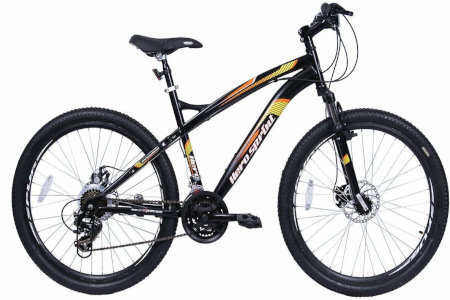 A suspension is termed as the heart of gear bicycles and this model comes with hardtail suspension which has front feature suspension, not a rear suspension. The bicycle is semi-assembled include In-Box contents everything like Handlebar grip, bottom axle, F/R derailleur, gear/brake cable, chain wheel crank disc plate etc. Opinion: best for age above 15+ or hight above 5’3” with adjustable seat. KC0049 is a bit expensive with a rating of 4.1 out of 5 on Amazon buyer's review reason as some additional and advance level component used in manufacturing. This model fit for an adult who has to go college or for frequent use as wheel size 27.5 inches along with 18 inches frame ranked best for rough and tough roads. if you are above 6 ft'' this model will not suit at all. 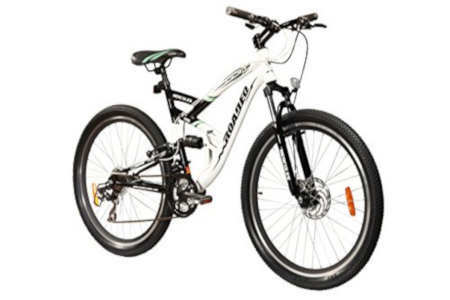 In terms of weight, 16kg is quite good for and by losing seat screw mechanism enables even teenagers to ride normally. The bottom bracket (BB set) on a bicycle connects the crankset or chainset to the bicycle that is made of KOSEI steel. Double alloy wheel gives more strength to the base structure and front end rear disc brakes can be detachable. 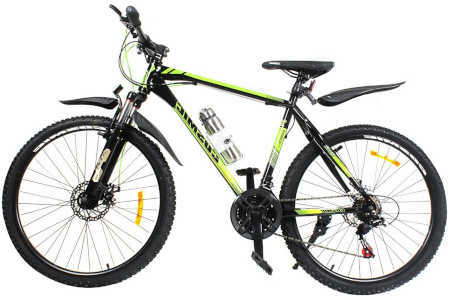 If you are looking for the best gear bicycle under 20000 in India in the category of mountain bikes then Sturdy cycle with 26X4 inches tyre comes the right choice also attractive design catches everyone's attention. Big Fat tyres with front hardtail suspension with alloy handlebar make a smoother stylish ride and bike hight is also not an issue as frame size is 18 inches. As it is an all mountain type of bike the weight is around 23kg made of carbon steel with alloy silver mechanic dual disc brakes for seamless braking. The bicycle comes with Shimano Tourney 21 speed gear and Shimano for smooth shifting gives you a better different speed cycling experience. Someone who is looking for a cycle for fitness we count its best fitness gear cycle. Zoom shockers which are best for off riding also you will get bicycle light and a few more accessories to enhance the overall look. Opinion: Best for 5ft” and above adult or who wants to burn calories faster through cycling. As we all know Hercules is known for making the best gear bicycle in India and we count Roadeo series cycles. A 300 is one of the best gear cycles for adults age above 13 years as the frame size 16.5 makes it more standard for this category riders. Duel dusk brakes with dual suspension make is more sports rocking and comfortable in deadfalls on road. Loaded with super cool Innova 26.2 dual extra wall alloy rim protection for tyres and Shimano gear ( 3x7 gears, 3 in front, 7 in rare) system with easy fire shifters makes it best mountain gear bike. As 300 is built more robustly than A200 and A100 gear cycle models by Roadeo. If we talk about material A300 is made of lightest aluminium alloy full suspension bike steel frame. Opinion: Best for Age +13 years or 4.4ft” hight without worries about weight. If you are looking best gear cycle under 8000 price than Hercules TopGear would be the right choice. CX70 duel suspension with Double tube rugged design makes it good looking cycles. The weight of 30kg is a bit heavy so you would feel bulky sometimes and equipped with 18-speed gear so you do not have 21 gear speed. But you should not forget that it comes under 8000 budget. Opinion: Best bicycle for men and adults above 5′ ft and age above 13 years. We have already introduced Roadeo A300 in our best-geared cycle list but A100 still holds the name under 15000 budget. A100 has Revo shifters which requires just twisting with thumb and index finger while keeping your hands on the handlebar. 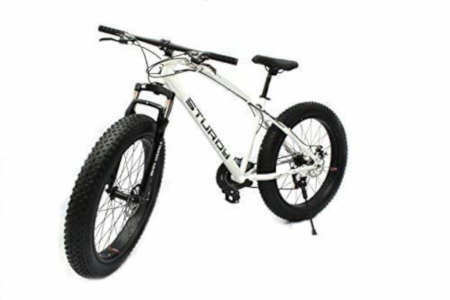 MTB dual suspension steel bike which is stylish, comfortable and provides amazing riding comfort. The 21-speed bike has three front gears and seven in the rear where multispeed bike riding brings you comfortable ride at different speeds across varying terrain. 18" frame size 26" wheel size with unique designer 6061 alloy frame makes it a standard 21 gear bicycle for adults. Opinion: best for even 7th standard kid can ride the bike, hight of 5 ft. ideally suits. 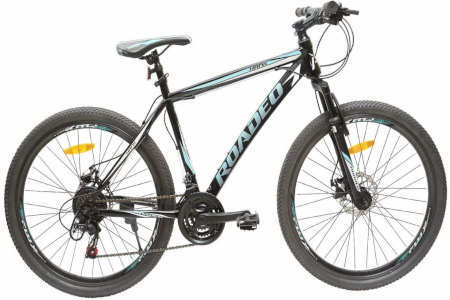 You will fall in love with the simplicity of Roadeo Hank cycle and if you have any issue they have the helpline number too which is great help cooperation to buyer sometimes. In short, Hank roadeo comes with front and rear reflectors, mountain bike pedals that suits your needs and preferences best. PU saddles with an adjustable seat where you can adjust as per the rider’s height. Frame size is about 18 inches with rigid suspension. Rest of the equipment are duel disk brakes, full 21 gear assembly and extra wide tyres make fit for the age of 14 years too. Opinion: best for a cyclist with the height between 5 Feet 1 inch to 5 Feet 9 inches. These bicycles are semi-assembled it means 85% of total parts are assembled together while packing rest 15% needs to assemble using manuals or by some of the experts. A person with the hight of 5″ ft will get more comfort while riding or you can adjust the seat if needed. Ultron 26T comes with Shinano 21 Speed Shifters with a steel frame with front suspension, adjustable seat with Rexine saddle which is more enough if you are looking for a bicycle under 10000 in India. As per the description, it is the lightest cycle under 10K category as the total weight is approx 10KG. 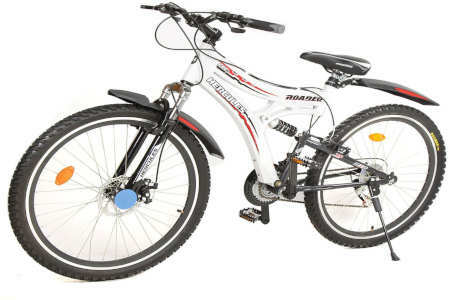 Kross is known for making a simple bicycle for genuine performance and excellent durability approx under 10000 budget. 26T and 26 two models launched by Kross is excellent in this category that comes with quick release seat and front tyres both are adjustable. Offcouse, we should not compare it with expensive bicycles but overall the material (steel) used is quite durable (Carbon & Chromoly Steel, Aluminium, Titanium, and Carbon Fibre) that makes 26T bicycle best cycle under 10000 in India. Considering cheap and best cycle in India 26T has 21 gear speed with dual suspension and front disc brakes only, so you have no rear disc. Kross 26T wheel size is bit smaller and gear shifter is thumb type so check every aspect but the overall built-in quality is good. Opinion: Best for age 12 and above as flexible mechanism for seat and front. In the list of measurement, Rider’s hight is equally important as short hight of rider won’t fit with long bicycles and long hight rider may feel uncomfortable with lower hight cycles. Be sure about hight of the rider while ordering bicycle online, we have concluded our opinion with every best gear cycle we are recommending here. Carbon aluminium made bicycles have low in weight but high in price (above 40K). here we have steel body cycles which comes under 20000 price. 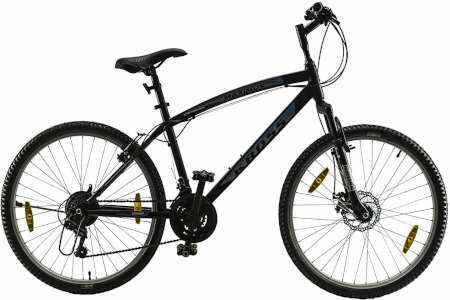 16kg to 24kg cycles are considered good in this category which is best in the mid-range hybrid bicycles. Gear is the fundamental part of the bicycle which allows you to ride on a flat surface or climbing at the same time. Shimano makes good gear for cycles. 21 Gear bicycles in India are generally the most sold cycles which give you 10 speed to 21-speed riding experience synchronically. 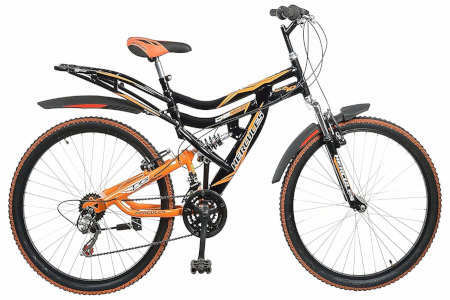 Most of MTB are made of dual suspension which provides smooth rider and good hand experience on rough roads too. A single suspension is also enough. There is no major difference in brakes as most of them comes with dual disk brakes in front and rear. On the other hand, tyres and rim size and type may vary as some of them comes with dual rim protection. Let us know which gear cycles do you use?